In the 17th Joe Pickett novel, C.J. 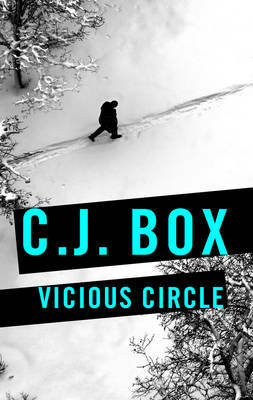 Box wraps up a long-running plot thread involving the nefarious Cates family. While it’s not a standout entry in the long-running series starring the never-far-from trouble Wyoming game warden, it’s a finely-tuned, suspense-filled thriller that will satiate veteran readers, and certainly intrigue newcomers into catching up on the Pickett family’s (mis)adventures. It all begins when when Dave Farkus — longtime troublemaker and unlikely partner in many of Joe Pickett’s inadvertent escapades — phones Joe from Stockman’s Bar to say he’s overheard a conversation about Joe and his family. He’s cut off before he can provide any concrete information, but the implication is clear: the Pickett clan’s a target. And when Farkus turns up dead — brutally executed by unknown assailants — Joe know something is amiss. He quickly ties it together — presumably at least — when he discovers Dallas Cates, the disgraced rodeo star who ran off with Joe’s daughter April, dumped her out of his truck, and ended up in the prison, has just been released, and is out for vengeance after the deaths of his father and two brothers. But is everything really as open-and-shut as that scenario suggests? Vicious Circle will resonate most for those who are keenly aware of the two families’ fraught history; readers who’ve been waiting for the final showdown for a couple of books now, knowing it would be vicious and bloody. There isn’t much new here — this is the C.J. Box formula perfected — but the Joe Pickett series is one that hasn’t surpassed its use-by date, and still provides plenty of action and excitement.